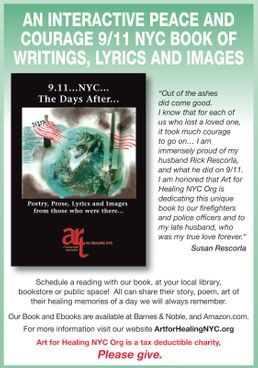 9.11 peace and courage book published by Art for Healing NYC Org. 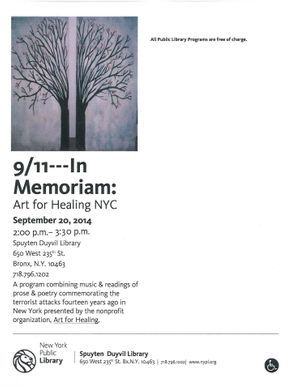 Schedule a FREE music/reading/art event from our 911 book at your local library, school or public space! 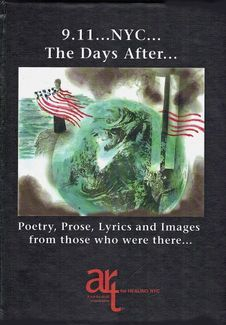 911...NYC...The Days After... is an interactive book that shares the writings, lyrics and images of local people from Manhattan, Queens, Brooklyn, Staten Island, and the Bronx of New York City, as well as New Jersey and Long Island- all areas that experienced the devastation of the attacks of September 11, 2001. 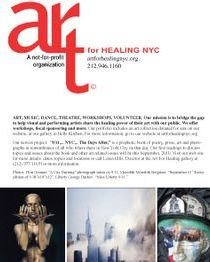 The proceeds from the sale of our 911 books will be used to continue our healing workshops, marketing consultations to visual and performing artists, and free art installations at public spaces. 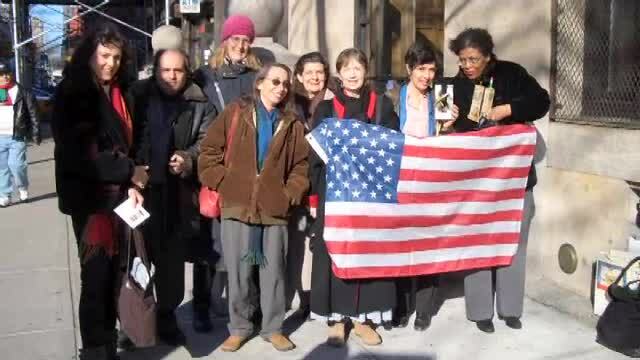 We have donated books to NYC Public LIbraries and are making them available to libraries across our country. 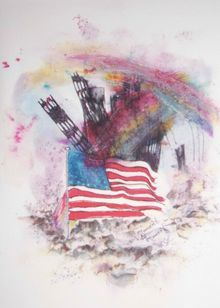 911 Memorial Museum NYC bookstore!